Stratford-upon-Avon was established in the 7th century, when the Saxons founded a settlement by the Roman Road (Straet) near a crossing (Ford) of the River Avon. By the 12th century it had grown into a market town and received its first Market Charter in 1196. In Medieval times Stratford was a busy place with many craftsmen, including blacksmiths, carpenters, bakers and shoemakers and leather workers. One such leather worker was a glover by the name of John Shakespeare. In 1557 John married Mary Arden, the daughter of a farmer from Wilmcote and in 1564 on or about 23 April, Mary Arden gave birth to their son William. 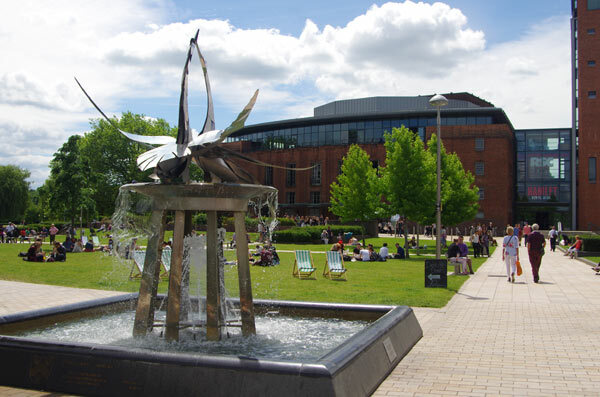 William Shakespeare became one of the most famous playwrights of all time and today millions of visitor each year come to Stratford-upon-Avon to see where he grew up. Come and explore Stratford-upon-Avon with us. 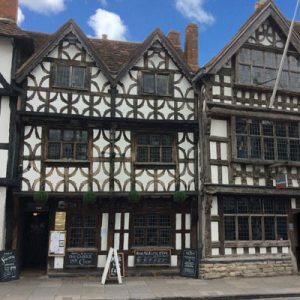 Let our knowledgeable guides take you on a fascinating and entertaining walk around Shakespeare’s home town. Visit the quaint streets with their half-timbered houses, take a stroll beside the beautiful River Avon and see the Shakespeare Theatres. 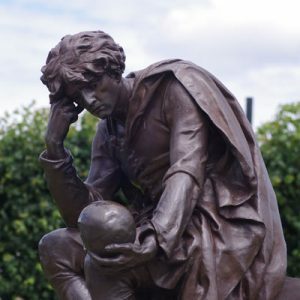 Our tour traces Shakespeare’s life from his birthplace to his old ‘grammar’ school, his home with Anne Hathaway and finally his resting place in the impressive Holy Trinity Church. Supplement of £10.00 for a tour in a foreign language. Tours offered in French, Spanish, Italian, German and Portuguese. Why not enhance your visit to Stratford by adding one of the following attractions to your walking tour? The charges quoted are in addition to the basic tour rate, and will need to be paid on entry to the venue. 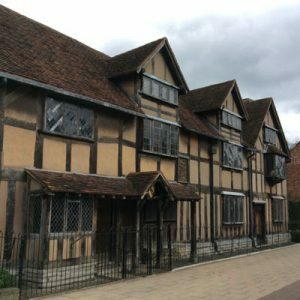 With the Town Houses Pass you can visit the three houses in Stratford mainly associated with William Shakespeare – his Birthplace, New Place (his home with Anne Hathaway) and Halls Croft where Shakespeare’s daughter Susannah lived with her physician husband, Dr John Hall. In these houses you can really absorb the atmosphere of the Tudor era and walk in Shakespeare’s footsteps. You will hear tales of Shakespeare’s family life from the fascinating costumed guides and have a chance to visit the delightful walled garden where Dr Hall would have grown medicinal herbs to make his very curious remedies! There is no finer way to view the Shakespeare Theatre and Holy Trinity Church than by doing a 45-minute cruise on the River Avon. 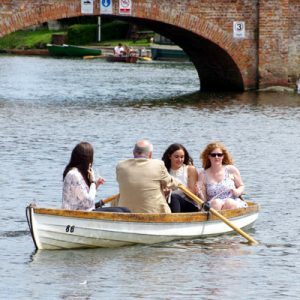 This is a very relaxing way to see some of the beautiful Warwickshire countryside and riverside gardens. For birdwatchers you are very likely to see herons, buzzards, kingfishers and of course Stratford’s swans. The cruisers have a live commentary and hot and cold drinks or cream teas are available from the bar. Cruises depart from the landing stage at the Crowne Plaza Hotel, Stratford. Why not combine your visit to Stratford-upon-Avon with a tour to the glorious Cotswolds, operated by our sister company, Cotswold Exploring. This designated Area of Outstanding Natural Beauty has inspired many writers, poets and artists over the last 200 years. 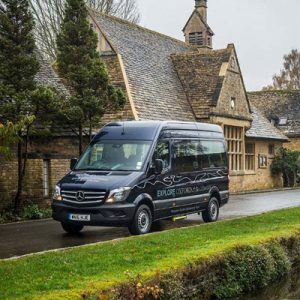 Enjoy touring some of the idyllic villages with their quaint stone cottages in our comfortable 12-seater minibus with a dedicated guide and driver.